The Fabulous Fox celebrated the 25th Anniversary of the renovations with the opening of a new visual display in Peacock Alley on the fourth level of the Fox Theatre. 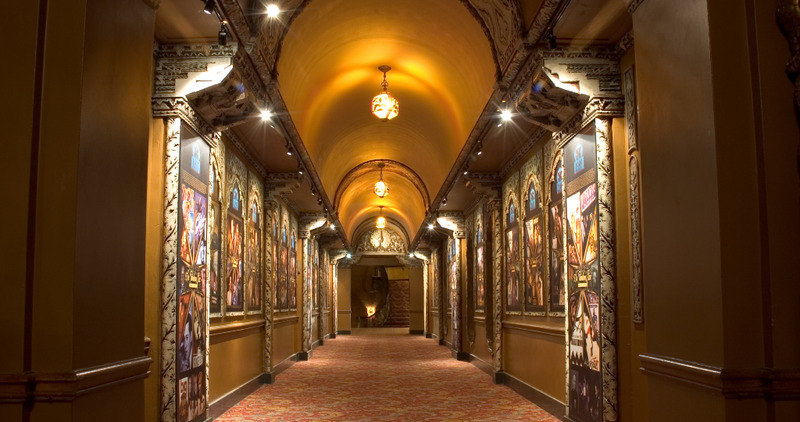 When the Fox Theatre originally opened in 1929, Peacock Alley was an art gallery displaying paintings, statues and objects d’art collected by Eve Leo, William Fox’s wife. Mary Strauss and a creative team spent seven months creating, designing and mounting this special exhibit. 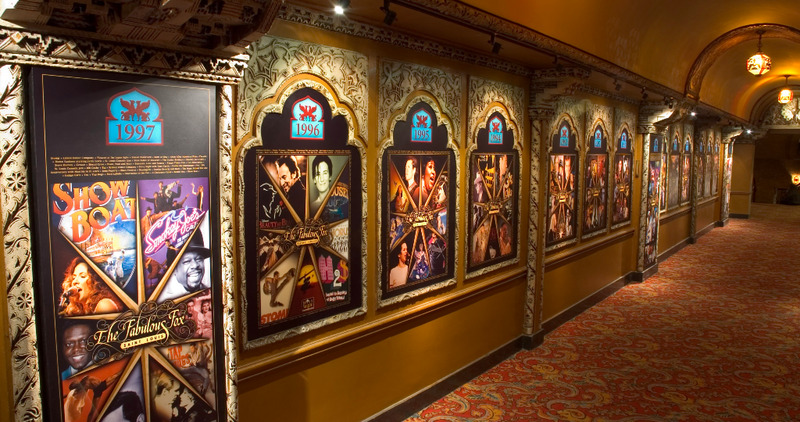 Now the public can immerse themselves in an incredible exhibit celebrating the more than 1,500 shows and stars that have appeared at the Fox since 1982. 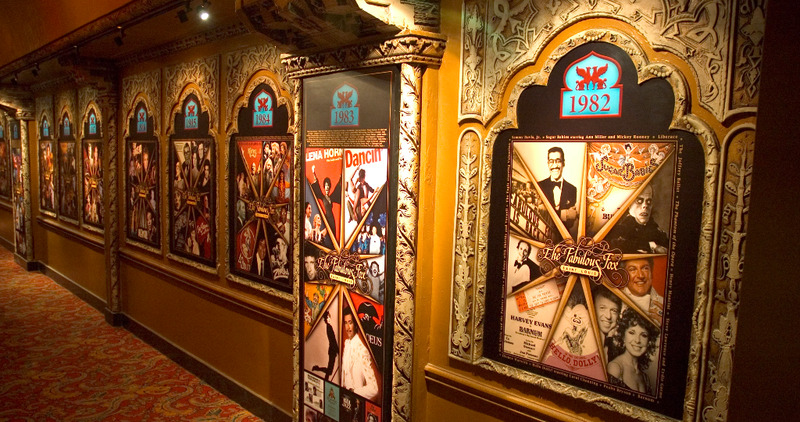 Patrons can visit Peacock Alley while they are taking a historic tour of the theatre or simply while they are seeing one of our many spectacular productions. While on the fourth floor visiting Peacock Alley, patrons will also want to view the tribute to Stan Kann who was the Fox Organist Extraordinaire for many years.